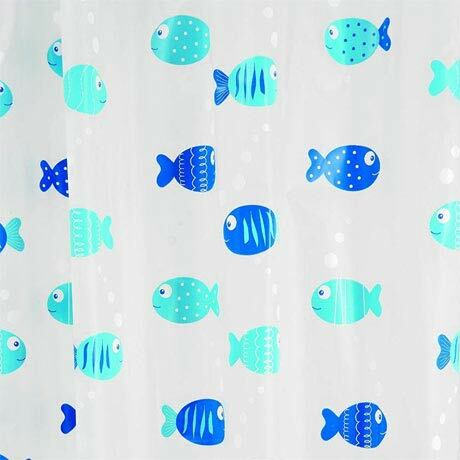 The stylish Fish patterned is designed to bring a bit of fun and colour to shower time. This high quality shower curtain is made from PEVA for a soft feel and is treated with a treatment to help combat bacteria and germs making it ideal for family bathrooms. In a small bathroom the shower curtain needs to let the light through and I love the fish! The grandchildren do too. Material seems strong enough to last a while.